Don't throw away your leftover yarn from your big projects. You can make cute little hearts, butterflies, or flowers. I found this really neat blog called Little Birdie Secrets. There is a tutorial for a lot of fun projects. 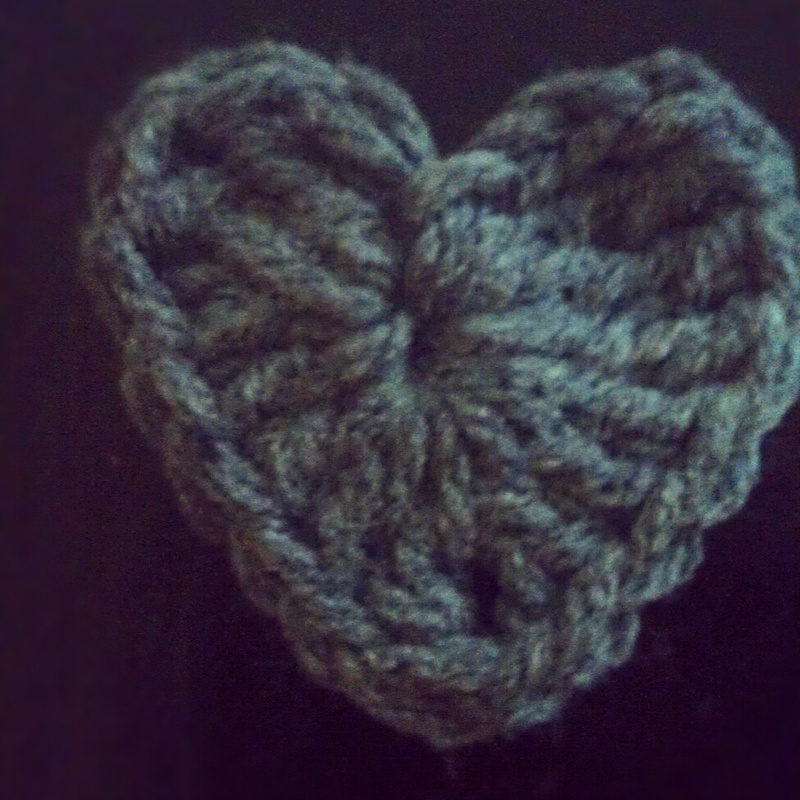 I had some grey yarn left from a scarf I made my hubby this winter. I was never really good at reading patterns but I finally get it. The YouTube video helped me a lot.